Are you putting off building your perfect outdoor living space in the greater Raleigh-Durham area? Don’t wait until spring buds are popping out of the ground next year. 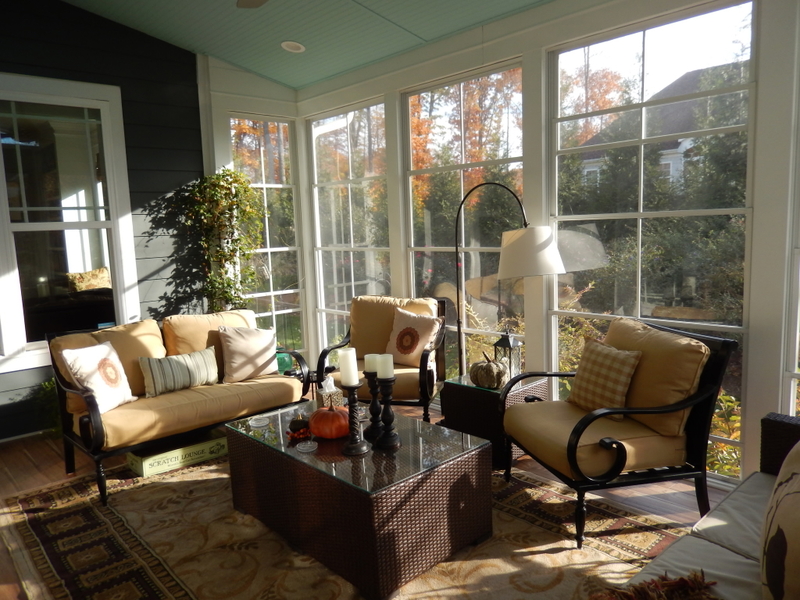 Now is the perfect time to create the screened-in porch, sunroom, deck, or patio of your dreams. Rising energy, supplies, and labor costs tend to increase material prices each year. Even when increases are small, they can add up quickly if you are building a large outdoor living space. Most material manufacturers like Timbertech, Trex, Belgard and Eze-Breeze set their prices at the first of the year. If you build your Cary or Chapel Hill screened in porch before the new year, you may be able to take advantage of current prices and save money. Many people decide to embark on an outdoor living project when the birds begin to chirp and flowers start to bloom after a long winter…and they are ready to get outside again! This can make spring and early summer the busiest time of the year for sought-after builders like Archadeck, and create longer project times for clients. 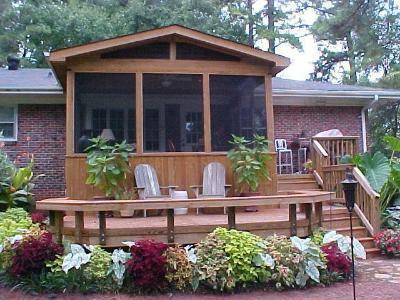 Avoid busy schedules and longer wait times by building your screened porch in the fall or winter months. 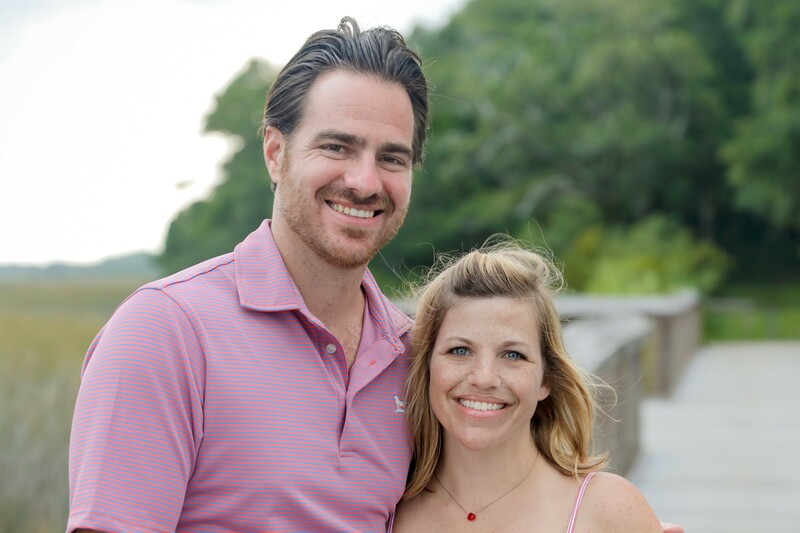 When the first warm spring day greets everyone, you’ll be ready to enjoy the gorgeous day on your lovely Haw River or Wake Forest screened in porch. Spring and summer aren’t the only times for great outdoor living. 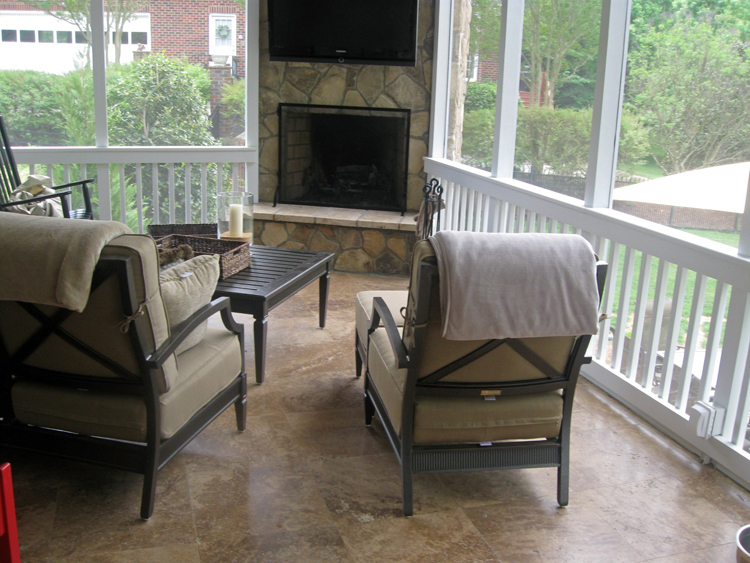 Fall is a wonderful season for enjoying screened porches in Raleigh and Durham. When the summer heat finally breaks, it can be so much more enjoyable to linger longer outside. Relax with a good book or have friends over to enjoy your favorite football game on your new porch, with the beautiful fall colors surrounding you. Special lighting, wiring for entertainment systems, and even a custom fireplace in your screen porch can help you get the most out of screened porch living. 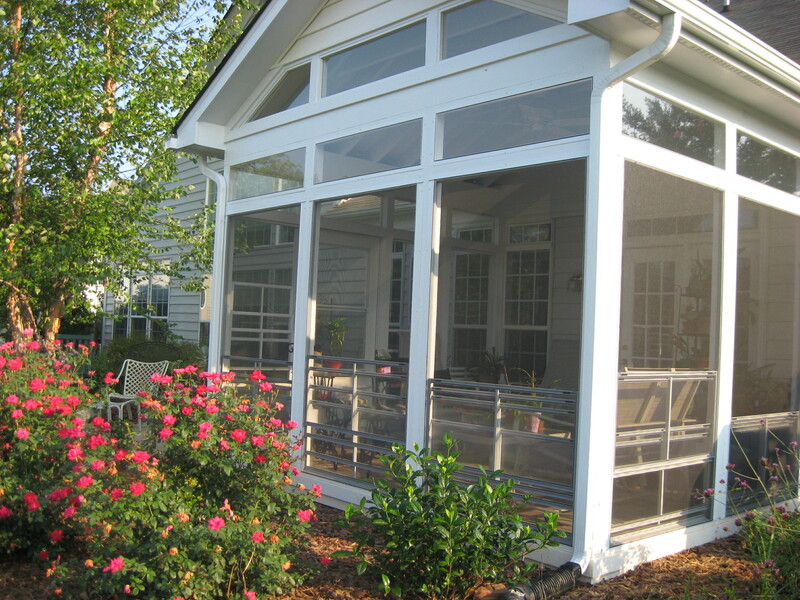 At Archadeck of Raleigh-Durham we use the best and most innovative products for our screened in porches. The addition of high-quality Eze-Breeze windows to your screened in porch can give you greater usage of your custom outdoor living space for a longer portion of the year. Eze-Breeze windows offer you the comfort and airiness of screens, with the greater weather protection of windows you can shut. Eze-Breeze windows are especially helpful when spring arrives and everything becomes coated with yellow pollen. You can close your Eze-Breeze windows and keep the pollen out, enjoying the blooming buds without having an allergy attack! 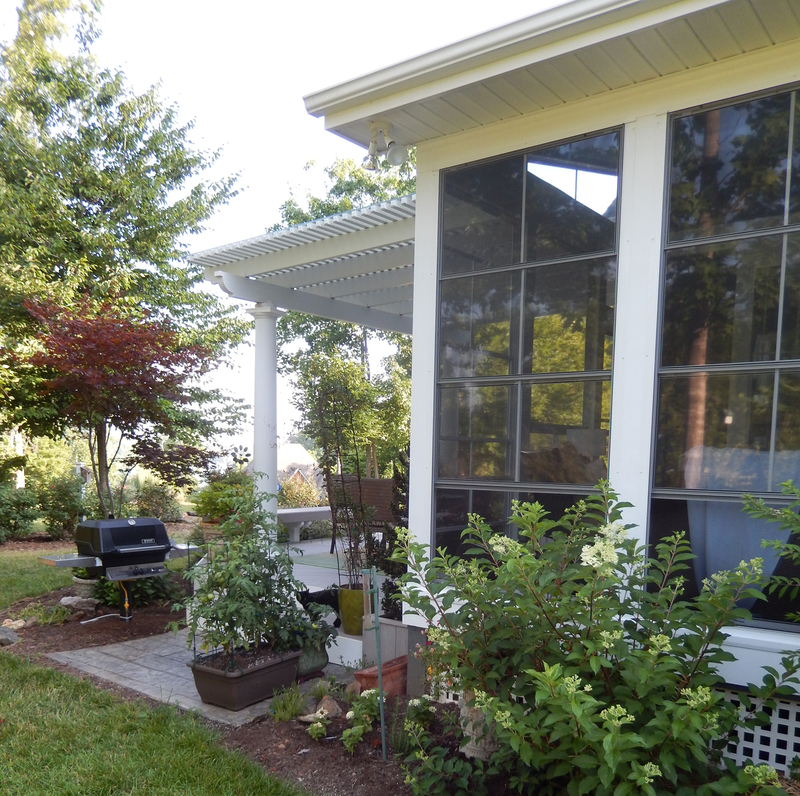 Screened in porches can be a lovely spot to hang out during the mild Carolina winters. With outdoor heaters being safer and more affordable than ever before, you can use one on your porch and enjoy the fresh winter air for even longer. Better yet, Archadeck of Raleigh Durham can build an outdoor fireplace in your screened in porch, creating a lovely spot to cozy up on a cool fall or winter day. Although we work to minimize the impact of our projects, most outdoor home improvement projects require some amount of repair work to an existing lawn and landscape after the project is complete. Since the fall is a time when many people are already doing annual maintenance to their lawns and landscaping, this can be an especially good time to have a screened-in porch built. If you choose to have your porch built in the fall, you can use the fall and winter to get your landscape back in tip-top shape by spring. Your Raleigh or Durham yard can recover without the stress of scorching summer heat and when you are not as likely to be outside working in or enjoying it.